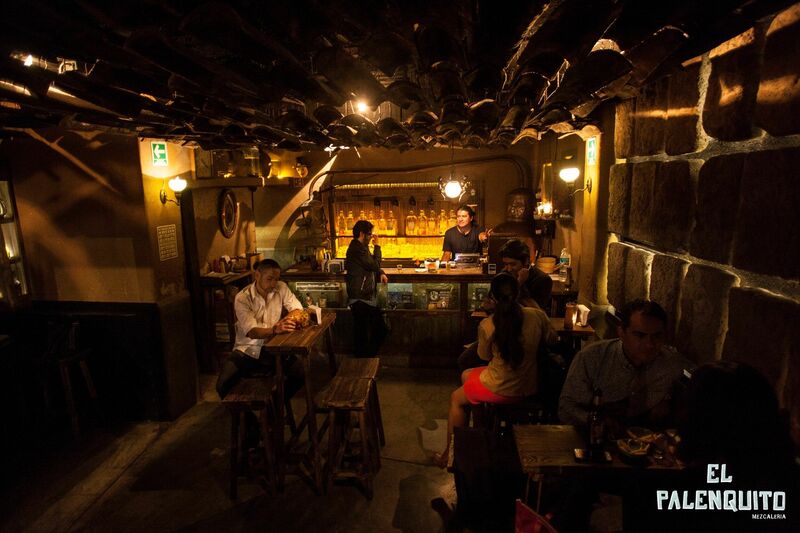 If you enjoy this deliciously smoky drink, be sure to check out these 9 spots, which are among the best Mezcal bars in Mexico City. La Clandestina is a hole in the wall mezcalería between Condesa and Roma Norte. There’s a bar up front and candlelit tables spread throughout several small back rooms. They curate a list of 40-50 high-quality mezcals and their waitstaff was super knowledgeable, walking me through all the intricacies of whichever mezcal I ordered. This place is a museum, but it’s also one of the best options for mezcal tasting in Mexico City. 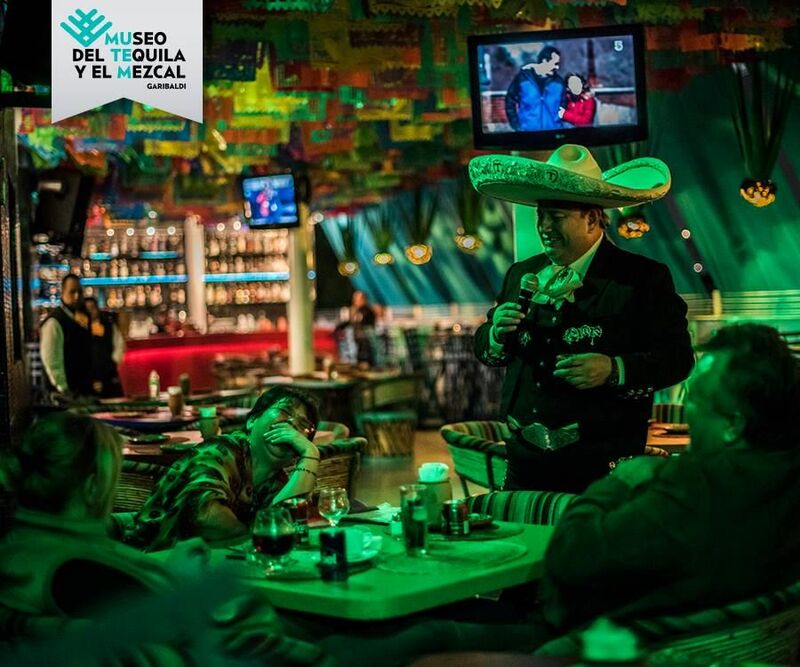 Located in Plaza Garibaldi, the mariachi central of the world, MUTEM has a nice terrace overlooking El Centro, and a cantina with more mezcal options than you could have in a lifetime. Don’t forget to visit the shop, which has mezcal varieties and brands that are not that very common in Mexico City. 25 minutes south of El Centro in historic Coyoacán is Corazón de Maguey. It’s more like a restaurant than a bar, and certain elements feel somewhat touristy. But don’t let that dissuade you, this place is solid. 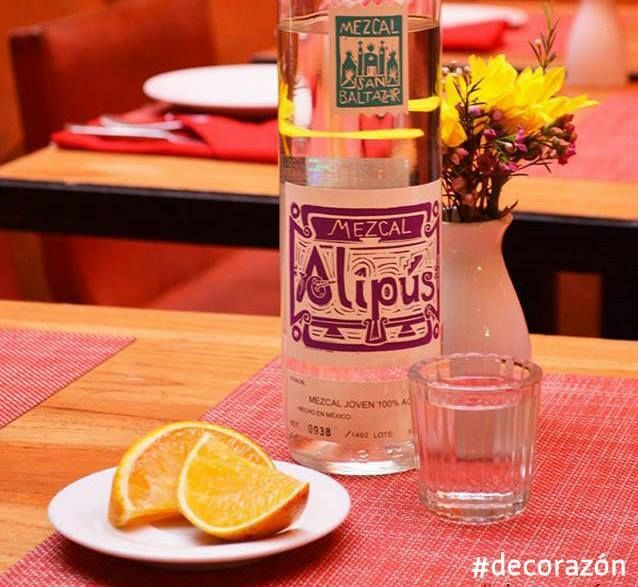 They offer up their own brand, Alipus, as well as a wide selection of other mezcals. 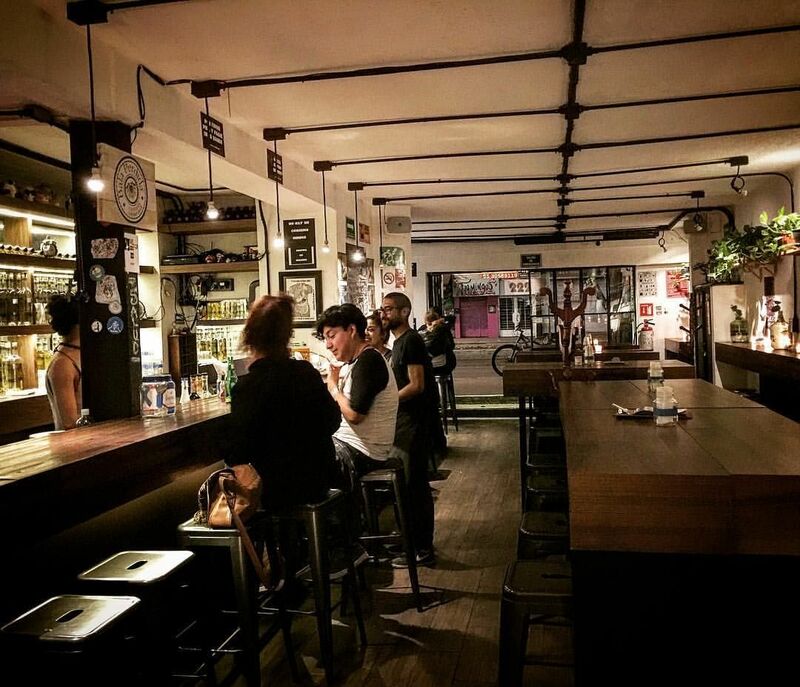 Go for a cocktail here as they offer delicious options like a mezcal negroni. It’s pricier than most other mezcalerias in the city but it’s worth it. This modest dive bar in Centro de Tlalpan is administered by Grupo Los Danzantes (the same people who own Corazón de Maguey in Coyoacán), but the concept couldn’t be more different from their trendier options. Barra Alipús is a tribute to Oaxaca. 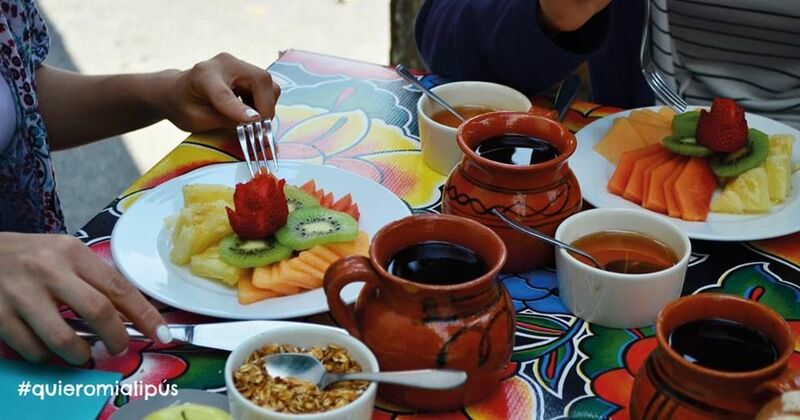 It looks completely like a merendero (a traditional place to have lunch and dinner in Oaxaca), and they offer a lot of traditional dishes that pair with their mezcal options (the whole Alipús and Los Danzantes lineup). 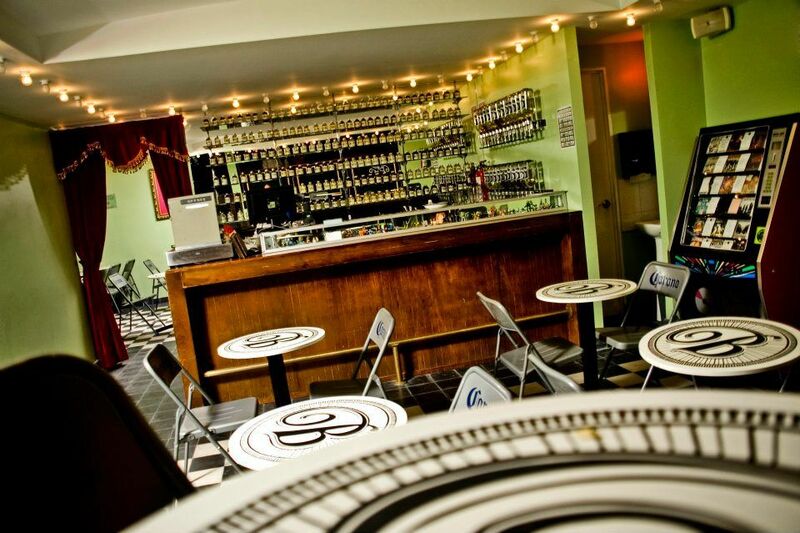 It’s simple, easygoing, and one of the greatest options for mezcal enthusiasts in the south part of the city. Bósforo is tucked away on a dark street in the middle of El Centro. You enter through a red curtain that leads to a dimly-lit, simple space with a second story mezzanine. The bartenders were fantastic, sharing advice about their favorite mezcals. It’s a comfortable space that never got too crowded, even on weekends. They also had delicious snacks (try the chapulines, or grasshoppers roasted with chile and lime). After a couple drinks, check out the Palacio de Bellas Artes. It’s incredible when lit up at night. Right in the epicenter of Avenida Álvaro Obregón in La Roma is the divey and relaxed El Palenquito. Their menu offers in-depth production details for each mezcal, and the owners and staff are total experts. La Botica is one of the recent businesses blowing up mezcal in Mexico City with six different locations around the city. The Condesa location has handwritten menus and offers their own branded mezcal. It’s a fun, lively spot to meet friends. Mano Santa is a small, cozy bar, with an excellent mezcal variety, a nice music selection, and just the right mood for a tranquil evening that can turn into the wildest night. These guys produce their own mezcal, and they have won several recognitions due to its quality. Before they opened their Insurgentes location, Mano Santa operated in a small apartment that made the whole experience feel extremely friendly and casual. They now have a bigger place, but the vibes are still the same. 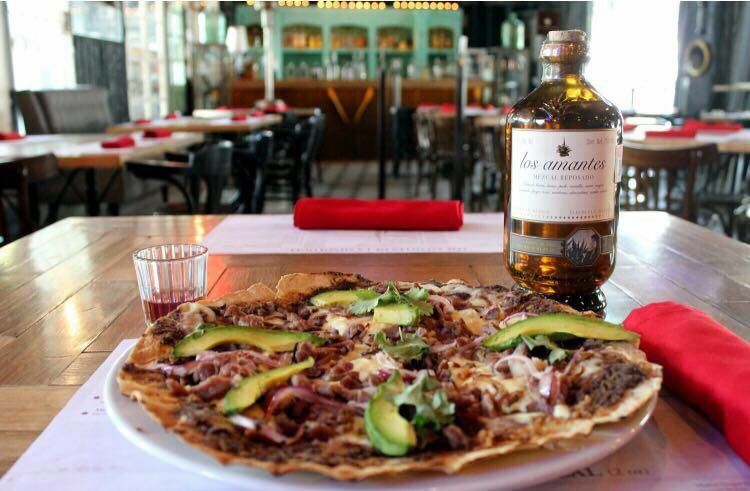 Located in the middle of Polanco, Los Amantes might be the fanciest place in the list. They claim to be the biggest mezcalería in the world, and with more than 300 mezcal labels in their bar, they might as well be. The food here is great and you’ll receive good advice regarding which mezcal to pair with your favorite tlayuda. This is a nice place you can enjoy after a day walking in Chapultepec or Polanco.